Today I want to talk about a very important but confusing topic that has a much bigger impact on your thyroid than you realize. There is a lot of confusing and false information that continues to circulate across the globe regarding what fats and oils are truly healthy. Unfortunately, you and millions of other people have been led to believe that all of these so called “heart healthy” oils in your diet are preventing future health problems while the reality is that they are not only heart UN-healthy but are linked directly to hypothyroidism. The entire “heart healthy” marketing movement was driven by the fact that polyunsaturated fats (PUFAs) could lower cholesterol. Even though it’s still going strong today, the entire cholesterol myth has been debunked by science long ago which I cover in some detail in my blog post: Hypothyroidism and Cholesterol – What You Don’t Know CAN Kill You! If all of these polyunsaturated fats were so “heart healthy” then why has heart disease continued to rise in spite of our drastic increase in the use of these oils? According to statistics from the FDA, our use of “heart healthy” polyunsaturated oils has increased by more than 330% since 1970 with the average person today consuming 51.9 lbs. per year as opposed to only 15.4 lbs. per year in 1970. If over the course of 40 years these “heart healthy” oils have not made any bit of impact in heart health then why do we continue to push them as if another 40 years might provide some different results? That’s not wishful thinking… That’s pure insanity. 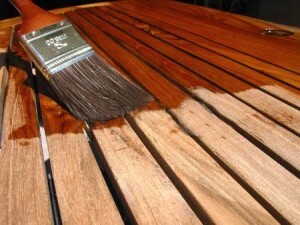 Polyunsaturated fats were once used almost exclusively for paint varnish. You see, polyunsaturated fats work great for paints because they oxidize and dry very easily allowing paint to be liquid and then dry when applied to a wall. But somewhere between the lines of ignorance and “insanity”, as Albert Einstein would have said, we’ve completely ignored the obvious dangers of these fats in favor of unscientific research and false promises. It is very well known that polyunsaturated fats oxidize rapidly when exposed to oxygen and heat, and this oxidation creates free radicals, oxidative damage, and cell death. Killing your own cells definitely doesn’t improve your health in case you were wondering. Regardless of how these oils are processed and manufactured, oxygen is abundant in the human body which is heated to roughly 98.6 °F. Needless to say, your body is a perfect environment for the oxidation of polyunsaturated fatty acids. Polyunsaturated fats also promote and cause hypothyroidism on multiple levels. Polyunsaturated fats block the thyroid gland from secreting thyroid hormone. Polyunsaturated fats block the transport of thyroid hormone to your cells within your bloodstream. Polyunsaturated fats block your cells from properly utilizing the thyroid hormone that is available. The only way to stop the thyroid suppressive effects of most cooking oils is to avoid them altogether. Unfortunately, this is difficult because these toxic oils are so inexpensive. Because of this, people continue to use them in their kitchens and they are used extensively in restaurants and commercial food products where inexpensive oils lead to greater profits. Below are five of the worst oils you can use which are highest in polyunsaturated fat and pose the greatest risk to your thyroid. 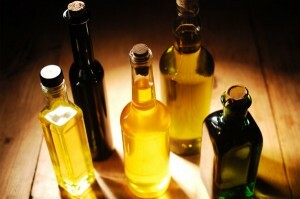 Vegetable oil, which is not included in the list above is nothing more than a generic name for the combination of one or more of these oils, but predominantly consists of soybean oil, which is likely the worst of them all. How much longer do they have to keep repeatedly pushing and promoting the use of these oils before we realize that ignoring the science that is right in front of our eyes is true insanity? By continuing to follow the health advice of the masses, how can you logically expect different results? 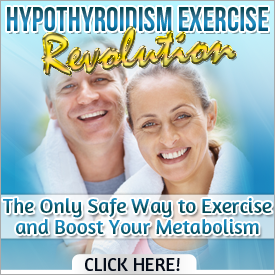 How can you expect anything but more hypothyroidism, heart disease, and cancer? Sometimes the only way to achieve opposite results is to take opposite action. Hello again, Tom and thank you for this great info. I noticed that Canola oil and Olive oil are not on this list. Are they ok to use? I plan to cover those too a little later. If you do eat out, is there a way to combat the effect of the “bad” oil? I know in your plan you talk about taking Vitamin E. Does that help if you traveling and need to eat out? Can you tell us what our Best optons are. Thanks Tom, This is so true. The best oil that I found for the benefit of the thyroid is extra virgin coconut oil. I cook with it, I even put it on bread instead of butter sometimes. Good stuff. The FDA and Medical Boards are aware of many cures and approved products that are falsely advertized. Politics are involved for monetary reasons ! What if everyone learned the truth about so many products that promise good health and are slowly killing us? The food industry and drug industry would lose and so would doctors and hospitals. What if our next generation researched and listened to the truth and diseases like cancer and heart disease and the need for many surgeries didn’t exist as now? If we didn’t have to pay so much for health insurance and medicines, we could afford to buy more organic foods and products.With the supply demands, more farmers and companies would give us organic products at a lower cost. All of my adult life, I believed all the ads for healthy living without researching for myself and,NOW, I am paying the price with a weak immune system, bowel diseases and hypo-thyroid. I am sad about the rate of obesity that is promoted through advertizing and the economy issues. I wish for more people like Tom to advertise their research and wish it could be taught more in schools and churches. Thanks for the space to say this! I am getting good results with the extra virgin coconut oil. Have much more energy and am fnally losing weight. My appetite has decreased and am eating far less of the wrong foods for me. Thanks so much for putting me on this path. Easy to rid my home of all that fat. I LOVE coconut oil and butter. Not a hard switch. Tom what is your opinion on safflower oil? Safflower oil is no good. Is sesame oil ok to use Tom? Seed and nut oils in general are going to be high in PUFA. Being a chemistry lecturer, i am satisfied with your suggestions on usage of oils. I am under care of a homeopathic doctor and maintaining normal thyroxin levels by using rice bran oil since long time. Is it good for health? It can be used but I don’t recommend using a lot and it should never be heated. Do you mean never to heat rice bran oil which I’ve never heard of or olive oil ? Should I stop eating peanut butter? Peanuts are legumes and not real nuts making them estrogenic amongst other issues such as PUFAs. But people say coconut oil is full of cholesterol. Can I use it for my cooking?